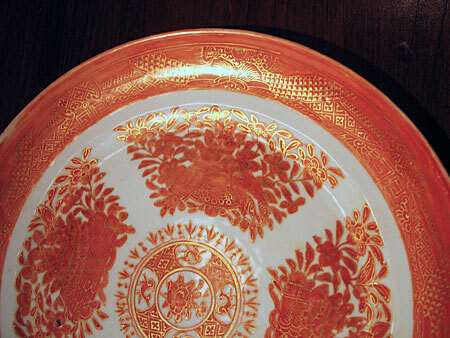 We are always pleased when we can find a piece of orange Fitzhugh export porcelain. 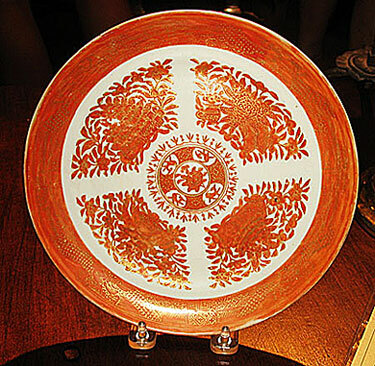 This plate is 8�" diameter and is in excellent condition. $ Notice the very fine gilding in the border and over the central orange decoration. Call us anytime to discuss this or any other item, as well as our convenient terms.